Enjoy a best in class, all-inclusive experience. 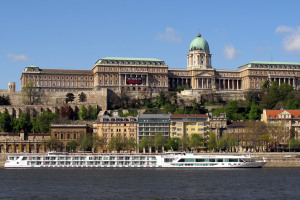 Scenic river cruises have over 20 hand-crafted itineraries to choose from ranging from 8 to 15 days along the iconic rivers of central and eastern Europe, including the legendary Danube, Rhine, Rhone and Seine Rivers, plus exciting cruises in both Russia and Portugal. The Scenic River Cruises Europe 2020 Preview Collection is NOW ON SALE giving you EXCLUSIVE access. As one of the very first to see these new voyages you will get to choose your preferred departure date, suite category and trips. Explore beyond the horizon as luxury and discovery meet on board Scenic Eclipse. The World’s First Discovery Yacht is home to a wealth of world-class facilities and amenities, as well as a helicopter and seven-seat submarine, as Scenic Eclipse takes you to places previously inaccessible to the ordinary traveller.